This discussion case explores the scientific process involved in implementing an animal model in the study of Alzheimer’s disease. 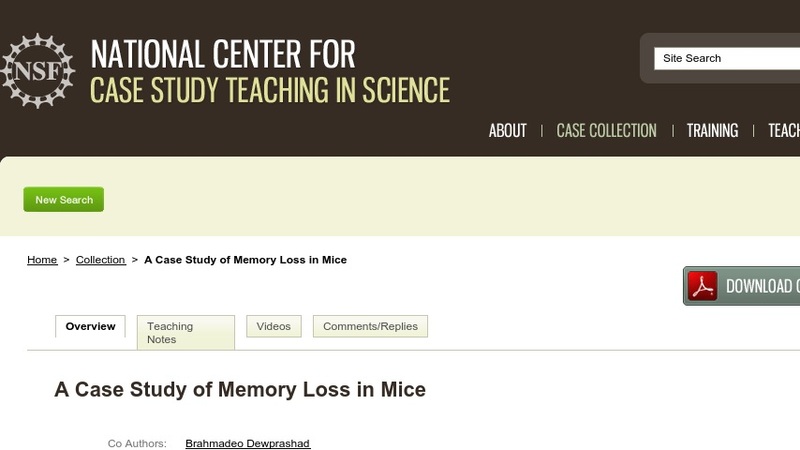 Students read a short paragraph describing a study in which the brains of “trained” mice were injected with beta-amyloid fragments, which subsequently caused them to forget their tasks. The paragraph is a very short New York Times story reporting on an experimental study originally published in the Proceedings of the National Academy of Sciences. Based on the short description provided, students are asked to identify relevant components of the scientific method (problem, method, results, and conclusions). The case is suitable for a wide variety of science majors and non-majors courses.